Probably my favourite, and the one I've been using the longest, is Oatifix (I've even recreated it with my own DIY). 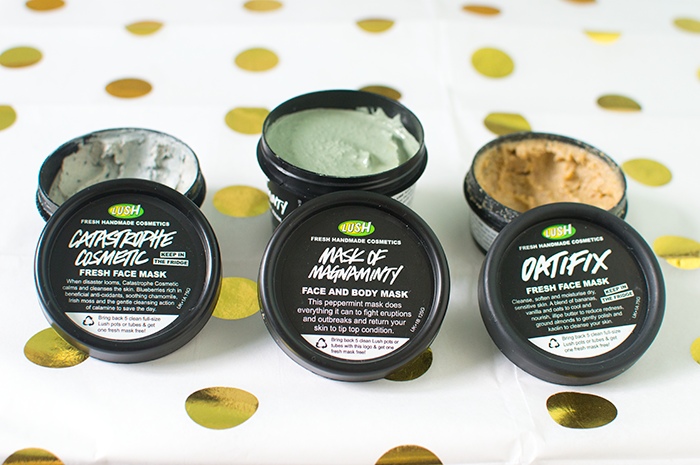 Oatifix is the mask I run too whenever my face is in particular need of hydration because it just leaves my skin feeling nourished. 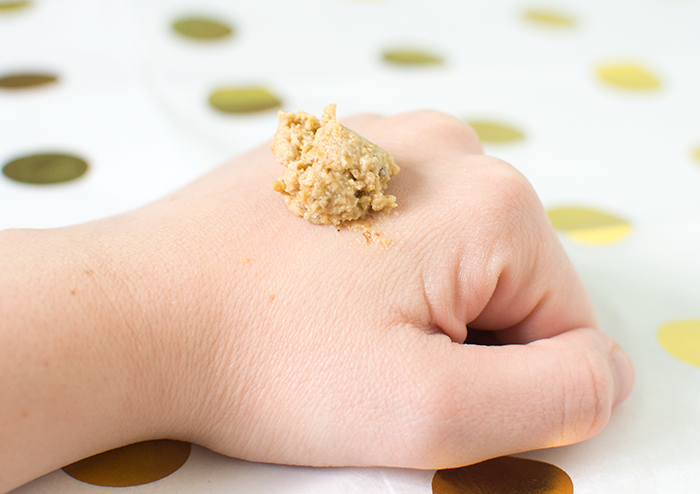 The oatmeal and ground almonds are also great at exfoliating the skin to help eliminate any of my pesky dry patches. 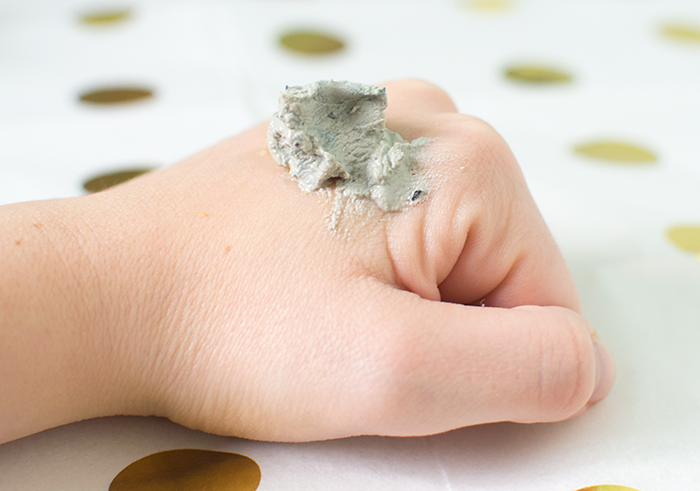 The only thing I don't like so much is that it's quite crumbly so when I'm applying it to my face, it can fall on the floor. But overall, I highly recommend this one to anyone with dry skin. 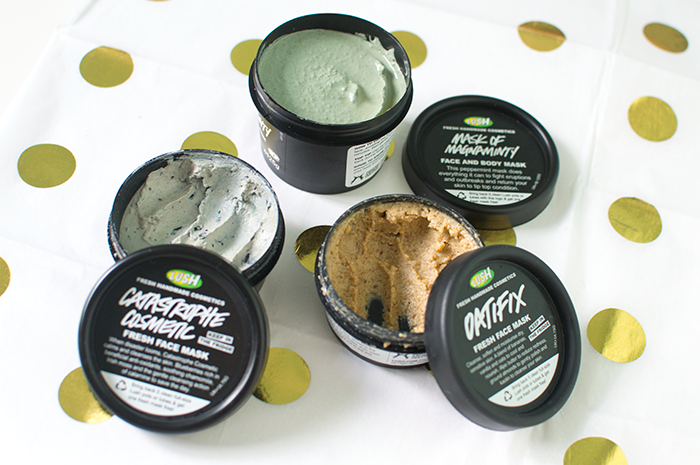 Another one of Lush's Fresh Face Masks you have to try is Catastrophe Cosmetic. This mask is great at calming the skin, so whenever my skin feels inflamed or sensitive, out comes this bad boy! It is also slightly exfoliating (which is always something I look for), so again helps with those dry patches, but not as well as Oatifix. 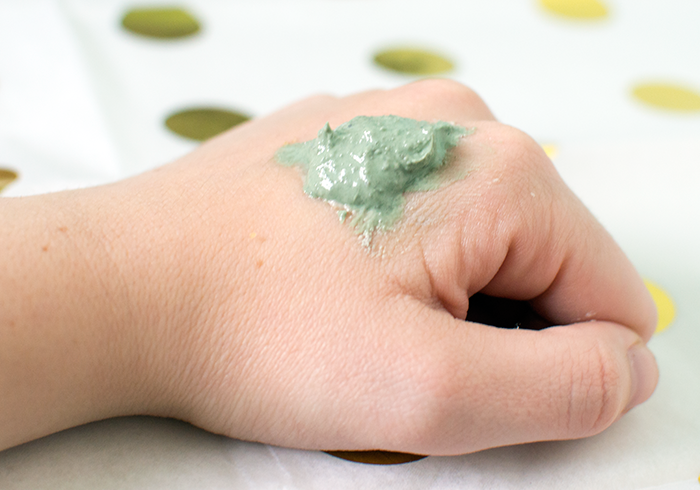 I do need to moisturise after using Catastrophe Cosmetic but once I have, my skin is left feeling smooth and relaxed. I feel like this one goes on my easier than Oatifix and a small amount really goes a long way!